I really debated this year between doing my current behavior system or switching to one of the cute clip charts that are all over. In the end I decided to stick with what I had but I can't wait to catch up on all of my blog reading with this linky party and see if I find any other cool ideas (of course I will)! I use a variation of the red, yellow, green system but I also have a "sparkly" for those kids who go above and beyond, or are the only ones who are following directions. Below is my whole tree. Since our theme this year is owls I am using a tree in past years I have used different colored lily pads and the kids names were on frogs. Here is a close up of the green branch of the tree. Everyones name starts here each day. This is the "sparkly" branch. I love using this branch! These kiddos are on the "sparkly" branch because they were the only ones who were sitting quietly when I asked them to. All I have to do is start moving names to the "sparkly"branch and it suddenly becomes very quiet! I also use it to reinforce behaviors I want them to become in the habit of exhibiting. So at the beginning of the year you might get on the "sparkly" branch for picking up paper from the floor, or standing in line quietly. Here is my yellow branch. When your name is here you miss some of your free choice play so we can talk about how to make better choices. Here is my red branch. If your name is here you miss all of your free choice play and we discuss making better choices. Parents also get a note home in the communication folder about what happened during the day. This is just a picture of the agreements we came up with at the beginning of the year that hang next to our tree. This system really does seem to work for me, when I am good about using the "sparkly" branch to reinforce good behavior! Hope you found this helpful! Check out all of the other great ideas at What the Teacher Wants by clicking on the picture below. I found your blog from the linky party! I really like the tree idea! My favorite is the "Sparkly" branch. I'm a big fan of glitter and applaud your use of it in the tree. Thanks for coming over and following Christy! My kids love glitter! It just makes everything pretty! I'm on my way over to follow your blog right now! Thanks!! I love your precious little owls :) What a cute twist!! 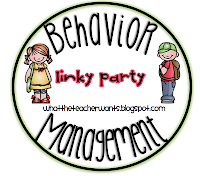 I found your blog through the linky party and I am your newest follower! 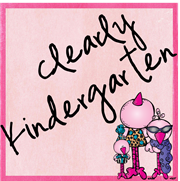 I'm a new blogger also, and would love if you stopped by! On my way over to check you out right now! Thanks for following!! I LOVE your variation! Super cute and I love that it goes perfectly with your owl theme!! Do you have your kids move their own names or do you move them?